I am an Associate Professor, Co-Director of the Digital Society Initiative and the Director of the PhD Program in the Department of Information Systems at the W. P. Carey School of Business of Arizona State University. I obtained my Ph.D in Management Information Systems at the Fox School of Business, Temple University. I am currently an Associate Editor at Information Systems Research. And I am on the editorial board of Journal of the Association for Information Systems. My research interests are in the areas of Sharing Economy, Digital Platforms, and User-generated Content. My research has been published in premier journals such as Management Science, Information Systems Research, MIS Quarterly, Journal of Management Information Systems, Journal of the Association for Information Systems, and Journal of Consumer Psychology. My work has been supported by multiple prestigious grants, from the NET Institute (2013, 2014, 2015, 2016, 2017, 2018), the Department of Education (2011, 2013, 2015), Robert Wood Johnson Foundation (2017-2019), the National Science Foundation (2018), as well as the National Science Foundation of China (2017). My research has been awarded ACM SIGMIS Best Dissertation Award (2014) and runner-up INFORMS ISS Nunamaker-Chen Dissertation Award (2014). My research papers have received best paper awards at the International Conference on Information Systems (2012), Hawaii International Conference on System Sciences (2017), America's Conference on Information Systems (2012), and the China Summer Workshop on Information Management (2018). And in 2017, I was awarded the W. P. Carey Faculty Research Award. Prior to my academic career, I have worked at China International Capital Corporation, a large investment bank in China. Besides research and teaching as a faculty member, I am or have been an external research scientist for a number of companies, including Lyft, Freelancer, fits.me, Yamibuy, Meishijie, Ports America, and Picmonic. In my spare time, I enjoy reading books and writing codes. I am an avid Emacs user, a typography enthusiast, and mechanical keyboard lover. I am currently managing the branding for a number of premium customized keyboard studios, including the ALF Studio. Check out some of my collections. 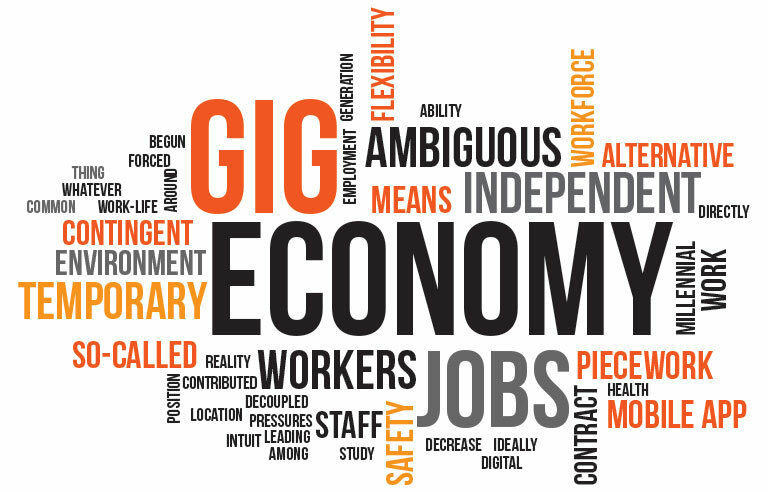 The gig economy is transforming how individuals work and how firms recruit.